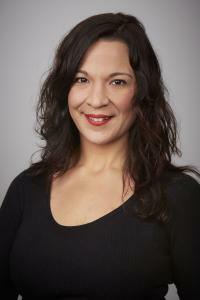 Rachel Pullicino is currently Marketing Director Oceania, on the executive leadership team for Edgewell Personal Care. Rachel’s team across Australia and NZ is responsible for marketing brands including Banana Boat Sunscreen, Schick Razors and Wet Ones Antibacterial Wipes. Prior to this she spent a couple of years as the Marketing Manager for the Personal Care division of Energizer after a 3 year international assignment in the USA as a Senior Global Brand Manager for Schick Mens Shaving where she was responsible for the launch of the latest innovation platform in mens shaving Schick Hydro. During her time in the USA Rachel was integral to the successful global rollout of the Hydro platform across key regions including North America, Europe, Japan and APAC and was also responsible for the development of innovative brand extensions including Schick Hydro PowerSelect and Schick Hydro Groomer. A passionate Marketing Leader with over 15 years’ experience in sales, brand strategy, consumer insights, innovation, new product development, brand communication, activation, and cross-functional collaboration in the FMCG segment.